Polishing mop for machine finishing ensures minimal swirl marks. Blended wool abrasive provides best possible finish with 3M-09048 finishing compound. Double-sided soft edge pads protect body and vessel style lines. 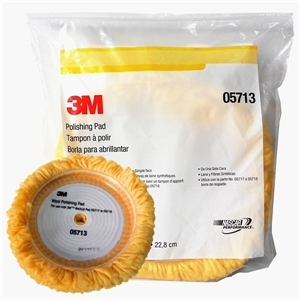 Single-side pads feature hook and loop attachment for fast replacement of polishing head.